Mary Cassat’s The Cup of Tea, 1879, oil on canvas, Metropolitan Museum of Art, New York. Can you BELIEVE Easter is next week? I can’t either. 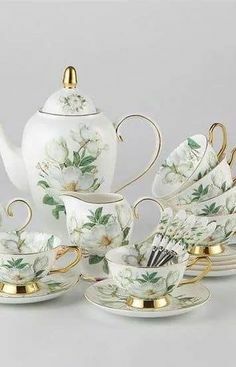 If you are planning to prepare a special meal, be sure to see what Alice at Tea in My Cup suggests for an Easter Brunch Tea Party. There’s a complete menu with recipes. And be sure to plan your tea well. 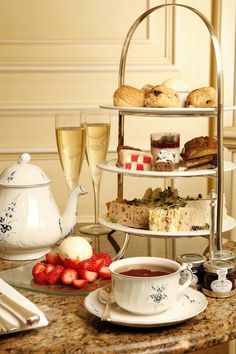 I provide suggestions for food and tea pairing in my article, “The Steps to Creating a Tea Party Menu“, but will repeat them here for your convenience. Here are some specific food pairings that may apply to your menu. 1. Use an Earl Grey or Assam with beef. 2 Use an Oolong or Darjeeling with chicken. 3. Use a Ceylon with vegetables. 4. Use a First Flush Darjeeling or Light, Sweet Green or White Tea with fresh fruit. 5. Use an Assam, Darjeeling, or Oolong with dark chocolate. 6. Use a Dragonwell with milk chocolate. 7. Use a Dragonwell, Darjeeling, Ceylon, or Assam with carrot cake/cheesecake. 8. Use a Darjeeling or Assam with Creme Brulee or caramel. 9. Use a Darjeeling with a dessert of apples/apricots/currants/berries/pie or vanilla. 10. Use a Dragonwell with a Brie cheese. 11. Use a First-Flush Darjeeling with Camembert cheese. 12. Use a Ceylon with cream cheese. Now, if you are planning any tea sandwiches for your Easter events, I direct you to Susan’s tutorial at the T-Cozy. Preparing the tea sandwich is harder than it looks; it’s important to keep them from getting soggy or dry. And they can be time-consuming. I found this post when Susan provided a round-up of some of best posts from The T-Cozy on her one-year blogging birthday. The other one I want to highlight is her advice about laundering vintage linens. 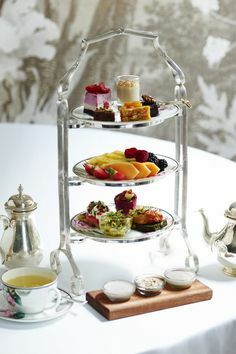 One of the reasons I appreciate the T-Cozy so much is because of the art and aesthetics the bring to the afternoon tea experience they provide at the T-Party. I’ve said it before. If I was closer to Connecticut, I would hustle on over and take tea with these talented women. Speaking of talented women, another tea party blogger I keep up with is Karen at Sweet-Necessities. This weekend, she’s in Chicago at the Country Living Women Entrepreneur Event. They asked her to pitch her boutique products to a panel for consideration to be featured in a future issue, along with three of her friends from Make Mine Pink. Congratulations, Karen. We wish you the best of success! It’s a thrill to see talented individuals in the tea party niche gain recognition as the tea party’s popularity grows. Lastly, if you’re a history buff, tea buff, or a tea in history buff, Bigelow’s tea blog recently linked to a tea time line you will be interested in. 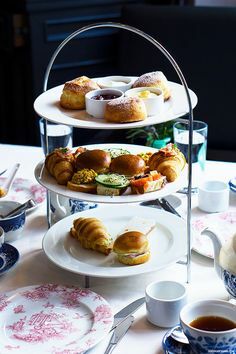 Tea Party Girl focuses mainly on Western civilization’s version of the afternoon tea party; however tea’s history and role in culture began thousands of years before Duchess Anna began inviting her friends to tea in the mid-nineteenth century. So, are you planning any special meals/ around your Easter/Holy Week observances? Please share with us in the comments below. Glad you enjoyed the tea timeline! And thanks for the food pairings…good stuff!